This is still some great weather for trout fishing at the mid- to low-elevation lakes where we stock trout. See the stocking schedules below. Water temperatures in our desert impoundments have dropped to 60 degrees and below. This is about the point (mid-50s) that the metabolism of bass slows. 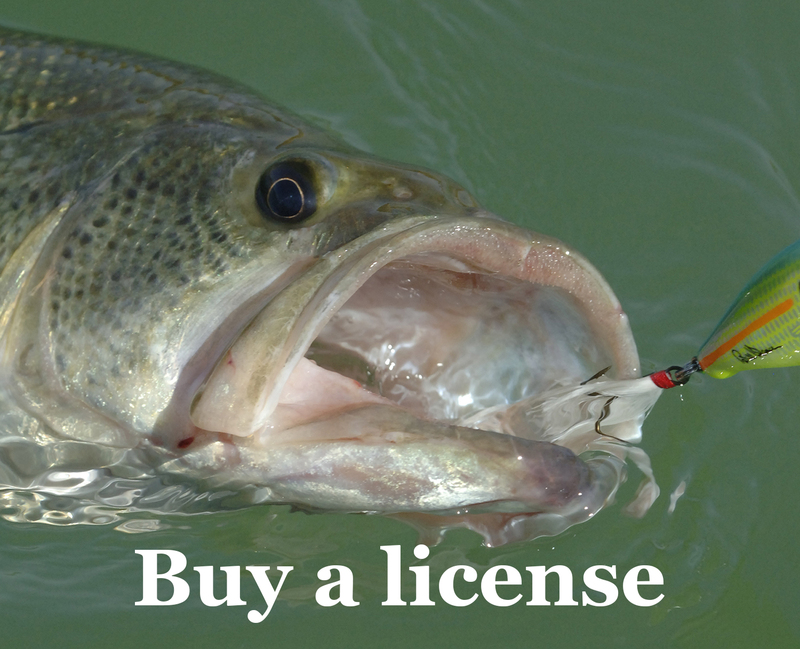 A solution for anglers? Fish slowly and use light tackle, including small baits. 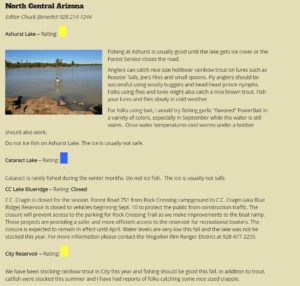 See a recent winter bass fishing report. We are on a new moon phase, which of course makes fishing with submersible lights for crappie and striped bass more effective. 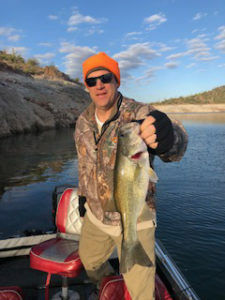 Crappie fishing becomes more difficult with unstable weather — look for a spat of steady conditions and try your luck at Roosevelt, Apache or Bartlett lakes. Be safe if headed to the high country, and remember that we consider all ice on lakes unsafe. Be sure to keep up with the latest road restrictions from ADOT. This comprehensive forecast for all primary water bodies statewide has been updated for the winter. See the forecast. We’re asking outdoor recreationists, pilots and drone operators to avoid bald eagle nest areas. Arizona’s bald eagle breeding season is on the horizon and multiple public land and water areas will be closed to protect the majestic animals and ensure even more young eagles take to the skies this spring. 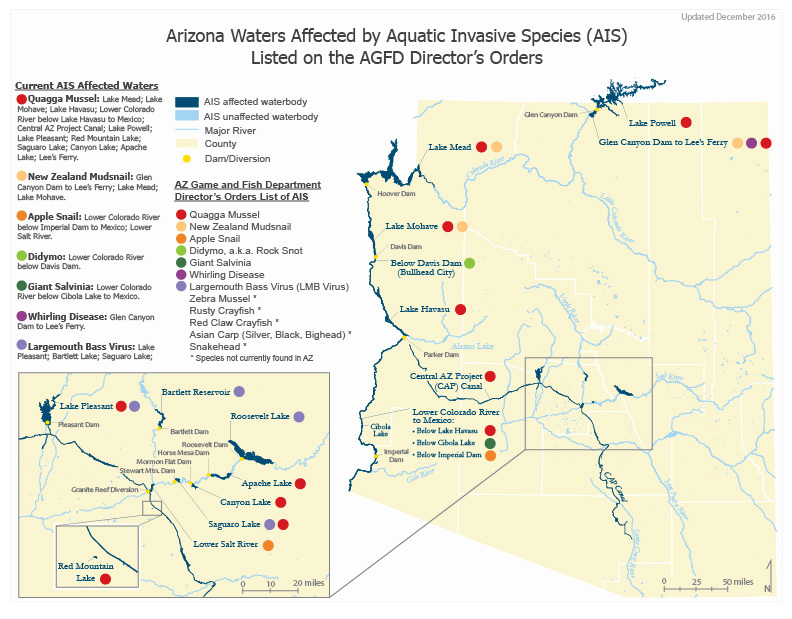 The numerous closures include areas on the Verde River, Salt River and Lake Pleasant. Read more. This reminder is especially important for out-of-town visitors who moor their boats at AIS-affected waters and are preparing to head out of state. Read more. John S. caught this nice largemouth bass during a cool morning on Sunday, Dec. 2. Rainbow trout: Apache Lake, Cluff Reservoir, Roper Lake, Dankworth Ponds, Fortuna Pond, PAAC Pond, Deadhorse Lakes, Fain Lake, Watson Lake. Gilbert Youth Fishing Day, 8 a.m.-noon., Discovery Park, 2214 E. Pecos Road. The first 200 kids under 16 to register for the fishing event receive free fishing pole donated by Cabela’s.